Most schools do not provide medical insurance for the students who travel overseas to study. Although some will offer the coverage at a very high cost, most college-aged students can’t afford it. All schools in the United States require students to carry medical travel insurance for the duration of their stay. Landeche Insurance Agency can help you find the right plan for the right price. Those who have spent a lifetime working hard to save enough to be able to live abroad need coverage, too. It would be a huge setback to spend thousands of dollars on medical bills. Getting an affordable medical travel insurance plan through Landeche Insurance Agency can help you avoid those outrageous expenses so you can really enjoy your retirement. While exploring new places is exciting, it also comes with risks. Access to first-class health care abroad is expensive, and health or governmental issues may cause travelers to return home prematurely. Medical travel insurance plans for overseas travel cover a great number of situations, making world travel less of a financial risk. We at Landeche Insurance Agency can help you find the coverage you need, wherever you go. Numerous companies send employees abroad for both short- and long-term assignments, but many don’t provide enough medical coverage for their employees’ stay in a foreign country. We can help you find a medical travel insurance plan that covers you and any accompanying family members so you have access excellent medical care without worrying about the expense. These plans are also great for EFL teachers who aren’t able to get medical insurance through the schools where they teach. Many people find it fulfilling to live an adventurous life living and working all over the world, either selling goods or proving services. One of the drawbacks to being self-employed is the lack of traditional medical insurance. A Landeche Insurance agent can help you find a suitable medical travel insurance plan that covers you while you work abroad. 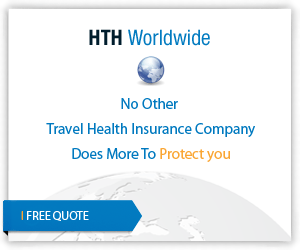 If you would like to run a travel insurance quote, you can easily do that on our website. For more information about these policies, don’t hesitate to get in touch with us.